How Does Elder Uchtdorf Feel about His New Assignment? I love and support the First Presidency, and I am thrilled to again more closely associate with the other members of the Quorum of the Twelve Apostles. Just after being called to the First Presidency in 2008, I delivered a talk in general conference titled “Lift Where You Stand.” During that address, I discussed the importance of seeing every calling we receive—no matter what it is—as an opportunity to strengthen and bless others and become what Heavenly Father wants us to become. I could give that talk again today and the words I shared would be just as relevant. Just a few days ago, Harriet and I spoke to the young people of the Church and made specific reference to how we cannot connect the dots in our lives looking forward. We can only do so looking backward. In hindsight, each of us will see how the dots connect in our lives on a more elevated, spiritual level. My friends, let us work together on the task at hand—to help all of God’s children know that He has a plan for them and to let them know they can find true joy in the gospel of Jesus Christ. I know that God is in charge. HE is at the helm. HE wants us to serve wherever we are in this beautiful worldwide Church. No matter where we are on this planet and to whichever calling we are assigned, let us do our best to serve God and our fellowman. Elder Utchdorf, you have been an amazing influence in my life through your dedicated service. Each time you address the members of the church you bring inspiration, direction, and hope. I want to be a better latter-day saint as a result. I look forward to the influence you will continue to provide in your assignments. Thank you!! Thank you!! Thank you!! I met Elder Uchtdorf on many occasions, including when he was an Area Seventy in Western Europe, more than 20 years ago. What always impressed me with him most, and what impresses me with so many of our General Authorities, especially our regretted President Monson, was his ability to smile, be warm and positive under all circumstances, no matter the heavy burdens they carry on their shoulders, including aging bodies. And some of the LDS people who marked my life most, such as Stephen R. Covey or Truman G. Madsen, have never been General Authorities, except maybe Area Seventies, but this did not keep them from influencing hundreds of thousands for good through their speeches and writings. 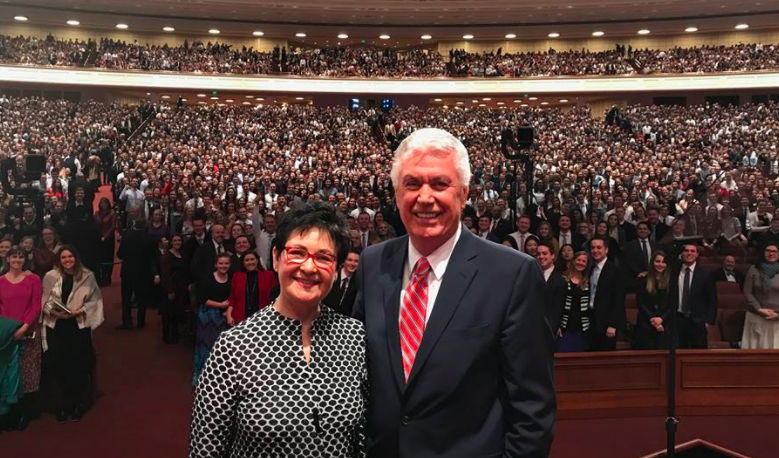 I remain assured that this is what we will continue experiencing for a good many years with Elder Uchtdorf, no matter the nature of his new assignments.